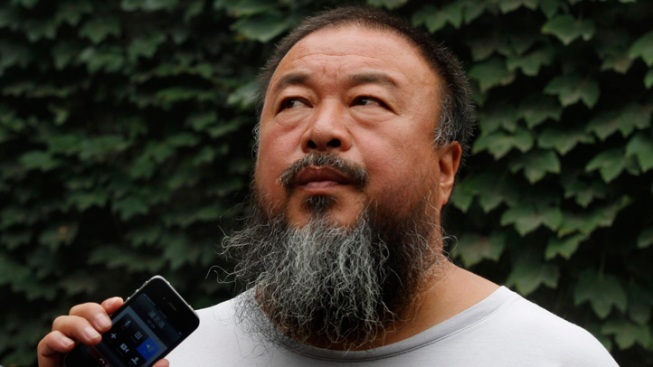 File photo: Dissident artist Ai Weiwei listens as his lawyer announces over a speakerphone the verdict of Ai's lawsuit against the Beijing tax authorities in Beijing Friday, July 20, 2012. Chinese authorities gave dissident artist Ai Weiwei his passport back Wednesday, more than four years after police seized the document, NBC News reported. Ai, 58, posted a picture of himself holding his passport on Instagram on Wednesday. Officials did not say why the prominent critic's passport was returned, but the move comes ahead of President Xi Jinping's high-profile visit to Washington. Ai, who designed the Bird's Nest stadium for the Beijing 2008 Olympics, has spoken out against the ruling Communist Party and is considered China's most famous dissident. When asked by NBC News on Wednesday why his passport was returned, Ai said: "I think I can only answer, why not? That passport is certainly mine and they had it for too long, so they are returning it to me which is very natural."